It’s been an exciting few months for the Leicester Curry Awards and we’re all on tenterhooks to find out who made it in to the final shortlist (all will be revealed Friday 9 March, so stay tuned)! Coming back to the awards itself, the team is working hard behind the scenes to ensure the red-carpet event on Sunday 22 April is an unforgettable experience. With that said, we’re delighted to announce that we’ve organised to have a photo booth from Meri Memories at the event. But this is no ordinary photo booth; from the outside the booth looks like a rickshaw but from the inside it has been designed to double up as a photo booth allowing you to capture some fun poses with your guests during the event. Meri Memories like to capture moments from celebrations that can be remembered in time. They offer a range of fun props to make your function is as memorable as possible. 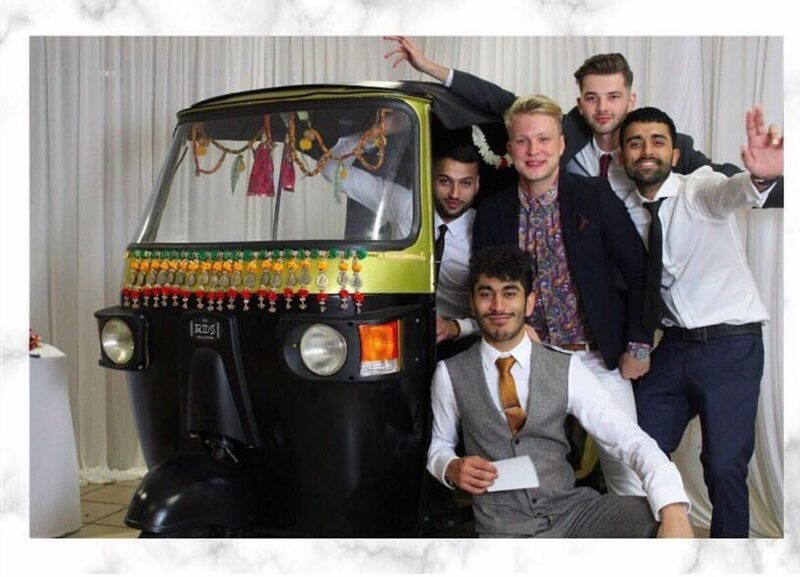 Their rickshaws are fully electric and can be used to bring guests into your event – they can even customise their vehicles with decorations to suit any colour scheme or match a company logo.